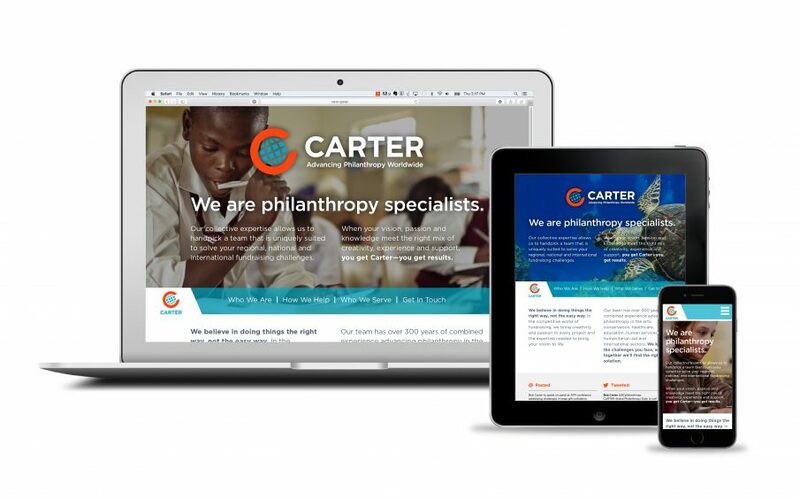 Founded in 2011 as Bob Carter Companies, Carter is a global philanthropy consulting firm with consultants located throughout the United States and Mexico. The Carter team has over 300 years of combined experience advancing philanthropy in the arts, conservation, healthcare, education, human services, humanitarian aid, and international sectors. 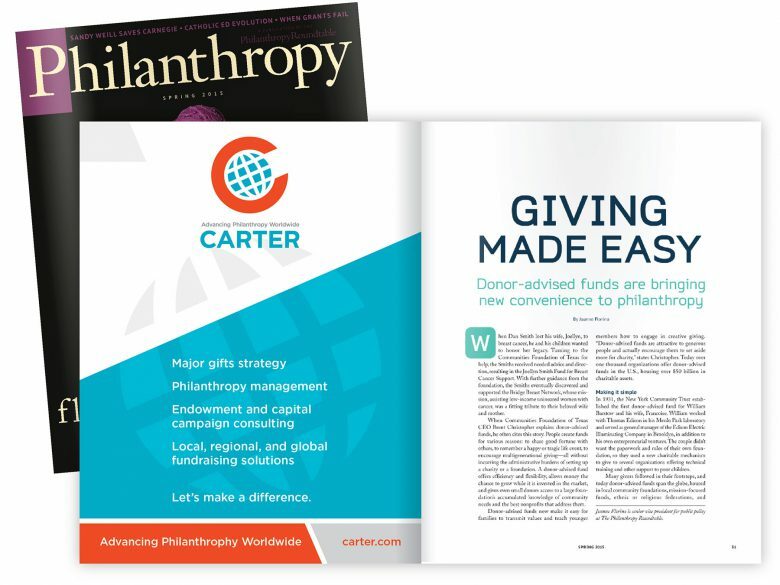 Under the leadership of fundraising expert Bob Carter, Bob Carter Companies became a leading global consultancy in fundraising and philanthropic giving. In 2014, Mr. Carter was ready to transition the leadership of his enterprise on to his executive team and a new generation of consultants. A communications challenge quickly emerged: how do you move the company forward under new leadership, while still retaining the equity of the Carter name? ThoughtForm collaborated with Bob Carter Companies to imagine the next generation of the company. This company would retain the vision and expertise of Mr. Carter, but also express a fresh face in the market with a new name and identity. 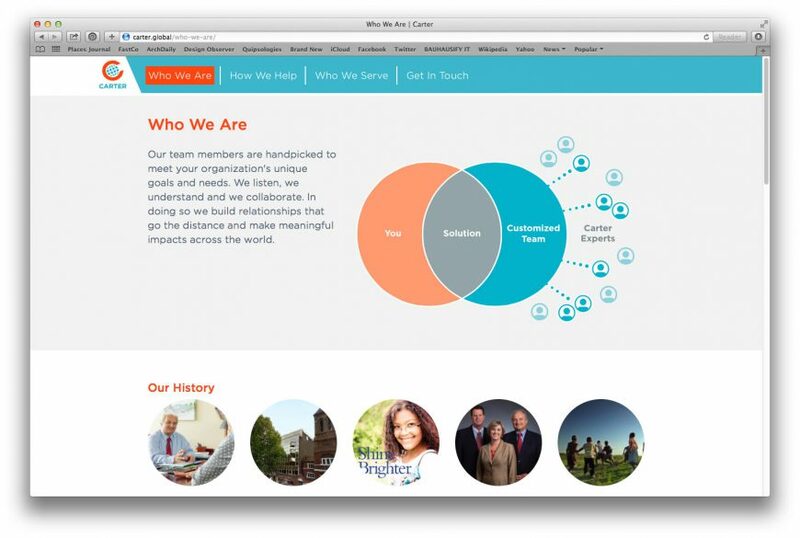 Through this exploration, ThoughtForm helped Bob Carter Companies become Carter. With this new name, along with a new logo, kit of key messages, and website, Carter has begun to build new audiences and experience growth. Conducted internal and market research to understand current brand perceptions. Developed new, fresh brand and identity to reflect the company’s bright future. Designed and launched the new brand with a responsive and engaging website.